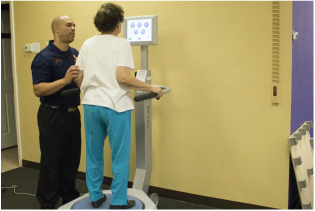 Spine & Rehab Specialists in El Paso, Texas has virtually every type of exercise equipment available for use during your customized Physical Therapy rehabilitation program. Everything from stair climbers, weight machines and treadmills to exercise bikes, free weights and more. Visit our world class athletic center! For the best results, our Physical Therapists use state-of-the-art equipment with advanced clinical approaches to promote quick recovery and the safest return to normal activities. 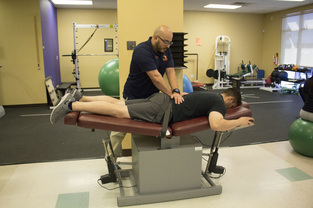 At Spine & Rehab Specialists, you'll always train under the supervision of an experienced Physical Therapist for maximum results and minimal chance of re-injury. 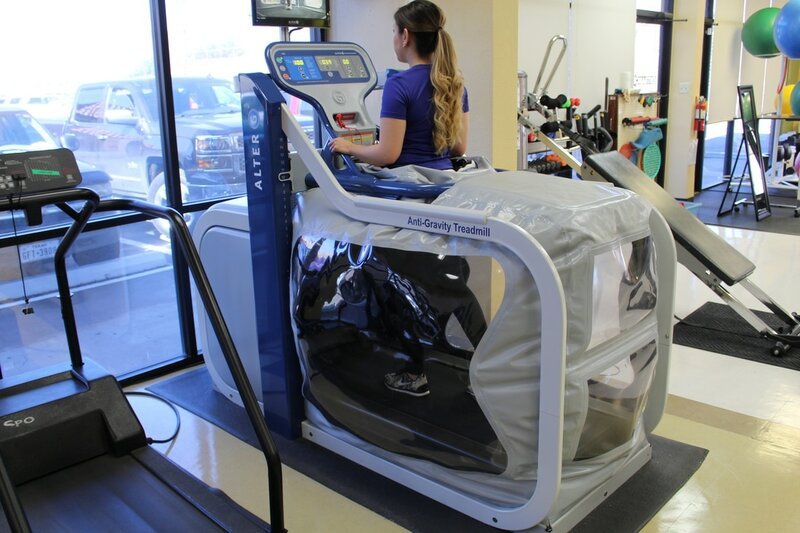 Featured at both our locations the AlterG helps you recover from surgery or injury faster, and train with less pain and impact. Get yourself back on your feet after an injury, train smarter or simply improve your strength and mobility. 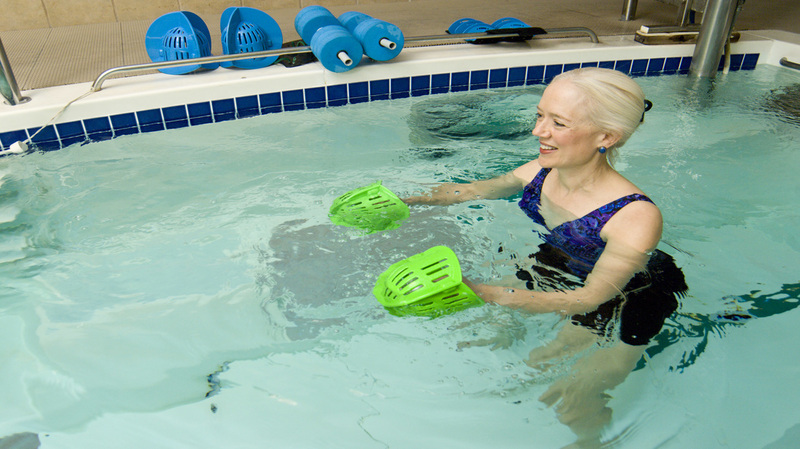 Featured at our Zaragoza location the heated Aquatic Therapy Pool can help improve strength, endurance, balance, and mobility while enhancing pain-free motion. Featured at both clinics the Biodex is effective in testing, exercising, documenting, reporting and rehabilitation. It can help reduce the risk of falling and aid in the rehabilitation of total hip, knee replacement as well as a wide array of orthopedic and neurological conditions. Featured at both clinics the REPEX is a piece of equipment that uses repetitive and endrange movments to influence the location and intensity of pain that arises from the spine. Featured at our Edgemere location the MCU is the most effective and complete system for cervical assessment and rehabilitation. The MCU provides movement and strength in more than 1000 unique positions.